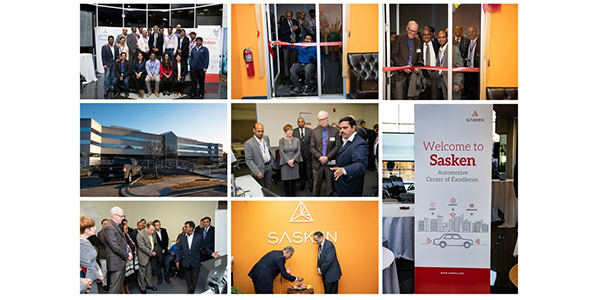 Sasken Technologies Ltd., (formerly Sasken Communication Technologies Ltd.), a provider of product engineering and digital transformation solutions, this week launched a state-of-the-art Automotive Center of Excellence (CoE) in Detroit. The center, which was inaugurated by Dr. Kenson J. Siver, mayor, City of Southfield, is part of Sasken’s nearshore strategy to cater to the needs of its customers in the automotive segment. The center’s main focus will be to develop cutting-edge solutions for the next generation of connected vehicles in areas such as advanced driver assistance systems (ADAS), integrated cockpit systems (ICS), in-car infotainment and telematics. “Software is becoming a key differentiator in automotive today. Sasken brings a decade of experience in delivering software solutions to its automotive customers. And with our Automotive CoE, we aim to bring our key solutions closer to our customers in the region,” said Hari Haran, president, global sales, marketing and business lines, Sasken. “Our objective here is to anchor key programs while continuing to provide offshore delivery excellence,” he added. Sasken is a preferred partner to several leading automotive Tier-1s and OEMs providing product engineering and digital transformation solutions. This facility will eventually be a hub for more than 100 engineers, bringing additional employment opportunities to the region.